Whether it's the extended tax deadline, or expiring credits and deductions, we bring you everything you need to know to file your 2018 taxes with confidence. The deadline for filing 2018 returns is midnight on April 15, 2019. The April 15 deadline applies to any return or payment normally due on April 15. It also applies to the deadline for requesting an individual return tax-filing extension and for making 2018 IRA contributions. It would be simple if that were the only change in taxes this year. But, this year, as always, there are additional changes you need to be aware of as you prepare your income taxes. Starting back with the 2011 tax forms, brokers or custodians of a person’s assets began tracking and reporting to the IRS the cost basis of those investments. In the past, it was up to the taxpayer. The federal government established new tax reporting requirements with the Emergency Economic Stabilization Act of 2008, said financial adviser J. Mark Nickell of Brentwood, Tennessee-based J. Mark Nickell & Co. Its purpose was to get investors to accurately report on tax forms any gains and losses on securities. The changes will eventually simplify tax preparation for investors, Nickell said. The effects of this legislation emerged in phases through 2014. For tax year 2012, custodians started reporting costs on covered and non-covered securities. For 2012, they also reported costs involved with mutual funds, exchange-traded funds and dividend reinvestment plans. In 2013, they started reporting on fixed-income options and other securities. The standard mileage rate for business use of a car, van, pick-up or panel truck is 54.5 cents for 2018. If the vehicle is operated for medical reasons, the rate is 17 cents a mile for 2018. The rate for using a vehicle to provide services to charitable organizations remains at 14 cents a mile. If you claimed the first-time homebuyer credit for a home bought in 2008 you must generally make the ninth of 15 annual repayment installments on your 2018 return. Separately, a repayment requirement also applies where you purchased a home and claimed the credit on a prior year return and then sold it or stopped using it as a main home in 2017. 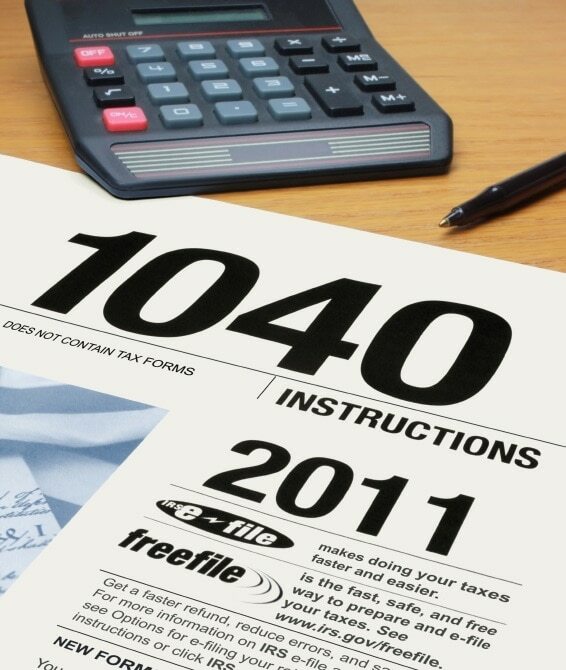 The focus in "1040 Instructions 2018" on line 67 of Form 1040 provides additional details. The additional tax on distributions from health savings accounts (HSA) not used for qualified medical expenses has increased to 20 percent, and payments for medicine are now considered qualified medical expenses only if the medicine is a prescribed drug or insulin. In most cases, taxpayers will now use the new Form 8949 to report capital gain and loss transactions. Schedule D, the form traditionally used to show these individual transactions, is now used as a summary sheet, reporting amounts for total sales price, basis and other adjustments for all individual transactions, and for figuring the tax. Eligible self-employed individuals may take a self-employed health insurance deduction in 2018. This deduction may be used not only for health insurance premiums that cover the filer, but also for spouses and other dependents as well as non-dependent children under the age of 27.